If you would like to view the recording of the joint webinar demonstration by EQ2 and oneSOURCE Document Management Service regarding our interface, see our webinar page. Or you can read more about the interface below. The oneSOURCE HTM Service Document Database includes the most comprehensive online collection of biomedical equipment Preventive Maintenance (PM) and related compliance documents. An optional robust interface with the oneSOURCE database in the HEMS, CMMS enables Biomed professionals to maintain a more thorough and comprehensive biomedical asset lifecycle management program, with access to manufacturers manuals, IFUs, PM documents, End of Life letters, AEM information and related material. Otherwise physical copies of these documents require a lot of space, time, and money to store. All of the features of the oneSOURCE Document Management Service are available to the user through the interface within HEMS. By providing a single environment for all documentation, this interface combined with all of the other features of HEMS (dashboards for compliance, AEM Management module, ECRI interface, asset management, work orders, etc.) makes performing day to day maintenance activities easier. Wherever an asset record is found in HEMS, its corresponding documentation can be viewed as well. This has obvious applications for preventive maintenance, but also for achieving compliance. Evolving operational mandates from the CMS, the Joint Commission, and other regulatory/accreditation bodies mean evolving compliance requirements and the need to document performance levels. Let’s use AEM as an example. It is required that the hospital have documents from the manufacturer to show why it went to AEM. The hospital can use the HEMS AEM module to manage the program day to day, while using the oneSOURCE HTM Service Document Database to maintain the appropriate documentation. 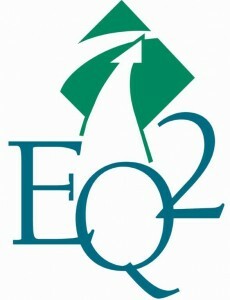 Learn more about the EQ2 and oneSOURCE partnership and interface by reading the press release. Note: to use the interface within HEMS, a hospital must be a subscriber to the oneSOURCE Document Management service.